REDWOOD (GB) (Bay or Brown 2006-Stud 2012). 4 wins-1 at 2-from 1m to 1½m, Woodbine Northern Dancer Turf S., Gr.1. Sire of 81 rnrs, 34 wnrs, inc. SW Rising Red (BRC Premier's Cup, Gr.3), Romancer, SP Rosewood, Swampland, High Mode and of Night's Watch, Big Sur, Chamalu, High Sierra, I See Red, Livin' on a Prayer, Red Sierra, Suliman, Tamarack, Woodloveto, Dashper, Haylin Rouge, Rock on Wood, Cedar Grande, Dr Hank, Scarlet Princess, etc. Kildangan (g. by Iffraaj). Winner at 2000m in NZ. Rise and Fall (f. by Exceed and Excel). Placed at 3 in NZ. Chinamora (Danehill Dancer). 2 wins at 1100m, 1200m, A$138,480, MRC Tontonan H., 2d VRC Thoroughbred Breeders S., Gr.3, MVRC Arrow Training Services P., 3d MVRC CFMEU & FFTS H., VRC Flemington 1840-2008 H., Racing at Caulfield 2YO P., 4th WATC Karrakatta P., Gr.2, MRC Blue Diamond Prelude (f), Gr.3, VRC Red Roses S., L. Producer. NONA IN COMMAND (Commands). 2 wins at 1000m, 1150m, R210,650, Turffontein Swallow S., L, 2d Fairview Rugby 5 H., Vaal Racing Association P., 3d Fairview Itsarush.co.za H.
Egypt (Sebring). 2 wins at 1250m, 1400m, A$90,995, MRC Schweppes H., 2d VRC Vanity S., Gr.3, 3d VRC AV Kewney S., Gr.2, MRC Timothy Rourke H.
Mount Panorama (Sebring). Winner at 1200m, A$108,635, in 2016-17, GCTC Trackside Tapas P., 2d Ballarat TC Suez McKellar H., 3d ATC Silver Slipper S., Gr.2, Pago Pago S., Gr.2, Canonbury S., Gr.3. LAISSERFAIRE (Danehill). Champion Older Female Sprinter in South Africa in 2000-01 & 2001-02. 12 wins-2 at 2-at 1000m, 1200m, R1,281,010, Kenilworth Cape Flying Championship, Gr.1-twice, Newmarket Computaform Sprint S., Gr.1, Scottsville South African Fillies Sprint S., Gr.1-twice, Kenilworth Sceptre S., Gr.2-twice, Kenilworth Fillies Nursery, Gr.3, Southern Cross S., Gr.3-twice, 2d Kenilworth Prix du Cap, L, Ascot Fillies Nursery S., L, 3d Kenilworth Merchant's S., Gr.2, 4th Kenilworth Merchant's S., Gr.2. Producer. 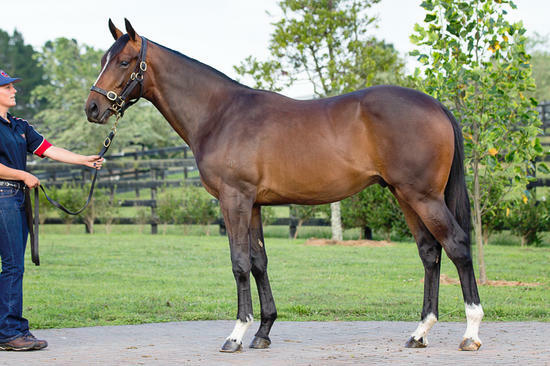 TIME THIEF (Redoute's Choice). 2 wins at 1000m, 1200m, A$369,738, MRC Zeditave S., L, 2d MRC Caulfield Guineas, Gr.1, Caulfield Guineas Prelude, Gr.3, VRC Danehill S., Gr.3, 3d MVRC Australia S., Gr.1. Sire. FOREPLAY (Danehill). 2 wins at 1000m, 1100m, A$246,475, MRC JRA Doveton S., L, AAMI Blue Diamond 1st Acceptances H., 2d VRC Kensington S., L, 3d VRC Newmarket H., Gr.1, 4th MRC Moonga S., Gr.3. Sire. BALLACK (Montjeu). 5 wins from 2000m to 2200m, A$499,125, BTC Chairman's H., Gr.3, Qld Tatt's RC Tattersall's Cup, Gr.3, MVRC City Pacific Finance Preston H., 2d WATC Derby, Gr.1, 3d WATC Perth Cup, Gr.2, VRC St Leger, L.
GALAPAGOS GIRL (Dehere). 4 wins at 1000m, 1400m, A$276,255, MRC Mannerism S., Gr.3, VRC Frances Tressady S., Gr.3, At Werribee H., WATC Busy Raider H., 2d MRC Carlton Draught H., WATC Capel Hare H., 3d STC Coolmore Classic, Gr.1, VRC Rose of Kingston S., Gr.3, MRC How Now S., L. Producer. KAMPAIGN (Kampala). 11 wins-1 at 2-from 1200m to 2100m, NZ$85,025, A$22,600, Manawatu RC Sprint H., L, Matamata RC Timberjack H., Taranaki RC BP Dealers Sprint H., Manawatu TV & Sound H., 2d Wanganui Cup, L, Manawatu RC Higgins Mile H., L, BATC Marycrest H.
Nzumba (Spinning World). 6 wins from 1800m to 2800m, R320,830, 2d Arlington Glenlair Trophy, L, Fairview Port Elizabeth Gold Cup, L.
LONE ROCK (Fastnet Rock). Joint Top Filly of 2010-11 Australasian 3YO Classification (Sprint). 4 wins-1 at 2-at 1000m, 1200m, A$597,178, SAJC Goodwood H., Gr.1, MVRC Champagne S., Gr.3, VRC Bobbie Lewis H., Gr.3, MRC Bramerton 2YO P., 2d MVRC Friends of Epworth H., SAJC Adelaide Magic Millions 2YO Classic, 3d MRC How Now S., Gr.3, MVRC Red Anchor S., Gr.3, MRC Geoff Murphy H., 4th MVRC William Reid S., Gr.1, SAJC Robert Sangster S., Gr.1. Race Record: 5 Starts 0-0-0 NZ$875.